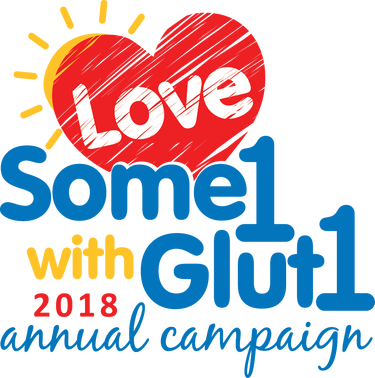 Our annual Love Some1 with Glut1 campaign launches soon - it runs Valentine's Day (2/14) through Rare Disease Day (2/28). The campaign is the primary source of support for the Glut1 Deficiency Foundation's ongoing mission programs for increased awareness, improved education, advocacy for patients and families, and support and funding for research. Find out more about the work of the G1D Foundation and how to sign up or make a donation at our website. We thank those who have joined already, and we have been inspired, moved, and motivated by the stories being shared on the personal fundraising pages. We are so grateful to have the help of so many in our very special Love Some1 with Glut1 "thank you" video! 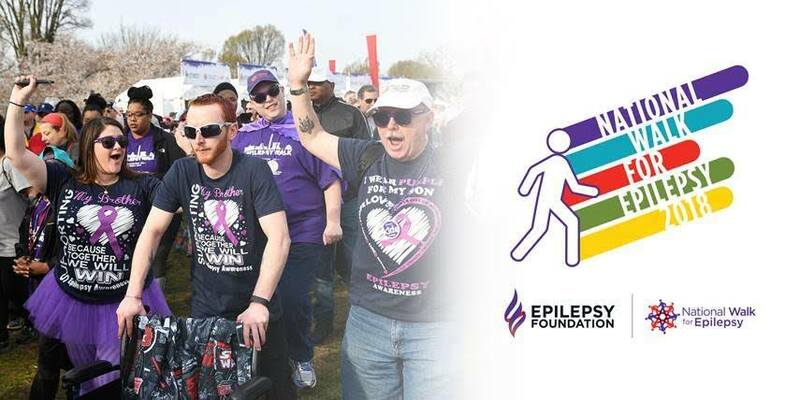 The National Walk for Epilepsy is just over two months away! It is being held on Saturday, April 14th in Washington, DC along the National Mall. The Glut1 Deficiency Foundation will have a team in the National Walk and use the opportunity to spread awareness and education. We'd love to have you join us! Please visit our website to learn more about how to register and get the details on special room rate accommodations we've arranged at our 2019 conference hotel in Crystal City. Rooms need to be reserved by March 14th to receive the discount rate. Rob Rapaport has been hard at work putting together the family and professional interviews from our Nashville conference. We have four diverse and inspirational family stories and have interviews from a number of professionals covering a variety of topics. The videos are a great way to get a quick summary of what was presented, and they give a glimpse into the exciting and important work that clinicians and researchers are undertaking on behalf of the patient community. You can find the finished videos at our website and on our Youtube channel, and stay tuned for a few more special additions to our collection coming in the weeks ahead. 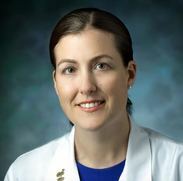 Funded by the National Institutes of Health and by the Glut1 Deficiency Foundation, researchers at UT Southwestern Medical Center have determined an appropriate dose of triheptanoin (C7 oil, a medical food candidate) as an additive to the regular diet for the treatment of Glut1 Deficiency. This study will soon start recruiting patients who are not receiving a ketogenic diet for a 9-month study. Please email Rare.Diseases@UTSouthwestern.edu for more information. We are delighted to announce some additions to our G1D Foundation Advisory Board. We are so fortunate to have the expertise and wisdom of the esteemed members of our Advisory Boards, and we are grateful to all of them for their interest in helping our community and the time they are willing to devote. ​Dr. Dong Wang has joined our Scientific Advisory Board. 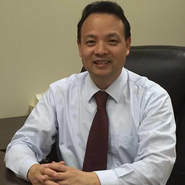 Dr. Wang is an adult neurologist in private practice in Riverdale, Georgia. He spent many years in the research realm at Columbia University Medical Center and the Colleen Giblin Laboratory, where he specialized in molecular genetics and metabolic disease studies. He has already helped greatly advance understanding and knowledge about Glut1 Deficiency, including his role in creating the first mouse model for the disease in 2006. He has collaborated on many research projects and publications. We are excited to have him join us in this new advisory role. 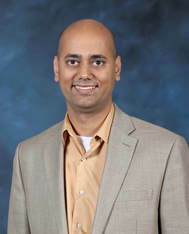 Dr. Karthik Rajasekaran has also joined our Scientific Advisory Board. He is a Medical Affairs professional with Greenwich Biosciences. Until recently, he was a faculty member of the Rare Brain Disorders Program and the Department of Neurology & Neurotherapeutics at UT Southwestern Medical Center where his research focused on mechanisms underlying Glut1 Deficiency seizures. Prior to joining UT Southwestern Medical Center, he was an Instructor of Neurology at the University of Virginia at Charlottesville. A neuropharmacologist and electrophysiologist by training, Dr. Rajasekaran is passionate about epilepsy research since his graduate days. His studies employed animal models of focal and genetic generalized epilepsies and were supported by grants from the Epilepsy Foundation of America and the American Epilepsy Society. Dr. Rajasekaran is a very welcome addition. We want to remind everyone about our next biennial conference in Washington, DC in July 2019. We will have formal conference sessions on the 11th and 12th, but we also plan to bookend the meeting with some special social activities on the 10th and the 13th. ​We will be sharing more details in the coming weeks, and we anticipate opening registration this summer (2018). We hope to see you there for this wonderful opportunity to meet, share, and learn in this fascinating city full of history and adventure. Please continue to check our website for updates. 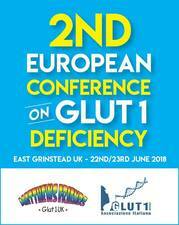 We want to make sure to spread the word about the 2nd European Conference on Glut1 Deficiency. We are delighted to be attending to hear the presentations and to be exhibitors and able to share materials and resources. We also can't wait to meet so many long distance Glut1 family members in person. You can find more details at Matthew's Friends website, including the agenda, registration links, and hotel discount information. 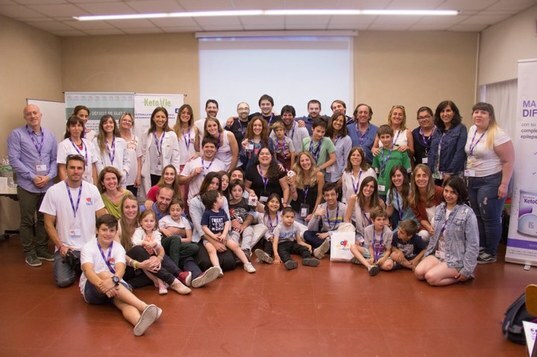 The growing Glut1 community in Argentina held their second gathering in November in Buenos Aires. They had the opportunity to hear from expert presenters about Glut1 Deficiency and also the ketogenic diet. There were exhibits and product samples from companies and lots of great social experiences. You can read a wonderful summary of the day prepared by Vivian Mathis at our website. There are plans underway to start a formal patient and family organization in Argentina. The G1DF will be busy this month hosting educational exhibit booths at a number of events. We will be represented at Rare Disease Day events in February at Baylor and Sanofi Genzyme, and we will be doing advocacy training and meetings in Washington, DC. In April, we will attend and exhibit at the National Ataxia Foundation and American College of Medical Genetics and Genomics meetings for the first time. We will also be making a return to the American Academy of Neurology Annual Meeting later in the month. These medical conferences provide important opportunities to share information and raise awareness among healthcare professionals in a position to find patients waiting on a diagnosis, and help them better understand and treat patients they may already have in their care. If you've been on our website lately, you might have noticed the streamlined new look. 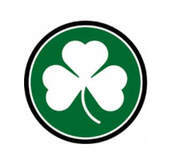 We have recently transitioned from WordPress to a new Weebly platform. Most of the content was migrated over successfully and we've worked hard to address any kinks. However, we know there may be a link here or there that we might have missed. If you find content that seems to need attention, please let us know through the Contact Us form. Thank you! We hope you make use of the many resources on our website, and continue to check back often as we are continually adding to and updating the information. If you are not on our mailing list, please consider signing up. New families receive a welcome packet of resources and information. We are debuting a new feature in this newsletter called Ask the Expert. It will be an opportunity for readers to submit questions for the experts on our Medical Advisory Board to answer. They have all graciously agreed to help us with this project. The G1DF submitted the first question to get the program started and you can find it below. Do you have a question you'd like to have answered? If so, Ask the Expert! You can submit your question at our website. Today, about 600 patient families are in contact with one another and with others. Most live in North America and there has been no ethnic predilection. The prevalence of Glut1 Deficiency is not known, but it probably is much greater than estimated. One such estimate was provided in 2006 in the publication J Paediatric Child Health 42:263-7. The authors stated: “The incidence/prevalence in our series is approximately one in 90,000 but we believe this is an underestimation because of the difficulty in recognising and diagnosing Glut1 Deficiency”. This was based on 8 cases detected by the authors in a large geographic area. All of these cases had the common, severe epileptic form of the disorder, but no effort was made at diagnosing other forms, which indicates that many more cases must have remained unrecognized. As part of our website updating, we also want to focus on our extensive collection of patient stories. These are a wonderful resource for people trying to better understand Glut1 Deficiency and the realities of living with it. We hear frequently from families who tell us the stories are helpful in knowing better what to expect and helping us realize we are not alone. We've also been told that the stories have helped others get a diagnosis. We want to encourage families to share their own story, and we will be reaching out to those already there that might need some updating as our children have grown. You can find the stories and directions for submitting new ones at our website. ​We will also begin a new feature in our newsletters where we highlight a patient story in each edition. This month we feature a new story from the Snelus family. 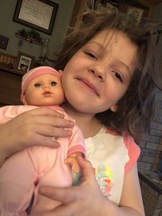 Paul lives in Kaufman, Texas and is raising his granddaughter, Addie, who was diagnosed with Glut1 Deficiency in 2014. Many of us had the pleasure of getting to know Paul, his wife Deb, and grandchildren Addie and Jonah soon after the diagnosis when he and his family attended our conference in Orlando. Please visit our website to read more about Paul and Addie's touching story. There was a recent article in Neurology Reviews on the new blood test for Glut1 Deficiency that is in development in France by Metafora Biosystems. We were pleased to find it in a magazine distributed at the American Epilepsy Society annual meeting, meaning many people had the opportunity to read and learn more about G1D. It is also avialable online if you are interested in learning more. Metafora presented at our Nashville conference and had a booth in our exhibit area. We are anxious to hear more as the development process continues, and we look forward to hopefully having widespread availability for the test. Glut1 Deficiency mom April Carrell Justice has created a new international closed Facebook group for parents and caregivers - Glut1 DS Care and Support. This closed group will provide more privacy for members and their postings. The Glut1 Deficiency Foundation has a Facebook page for sharing information, resources, and announcements with our nearly 2,300 followers. The G1DF has created a new Facebook group just for teen and adult Glut1 Deficiency patients (not parents) called Meet Some1 with Glut1. It is set up as a secret group in order to protect patient names and all the information shared in the group. The group is being administered by the G1DF and moderated by two adult Glut1 Deficiency patients - Meredith Lynn from Indianapolis, USA and Teresa Lamas from Lisbon, Portugal. There are a few questions to answer as part of a screening process, and you can find those and further details at our website. It is open to all patients aged 13 and up. Glut1 Deficiency dad Brian Buckner recently had the opportunity to pariticpate in the Pull-A-Part Challenge. It was a competition between two teams of mechanically gifted and creative members who worked together to create a custom vehicle out of salvaged parts. Both teams and their individual members were able to choose a charity to receive the prize money. 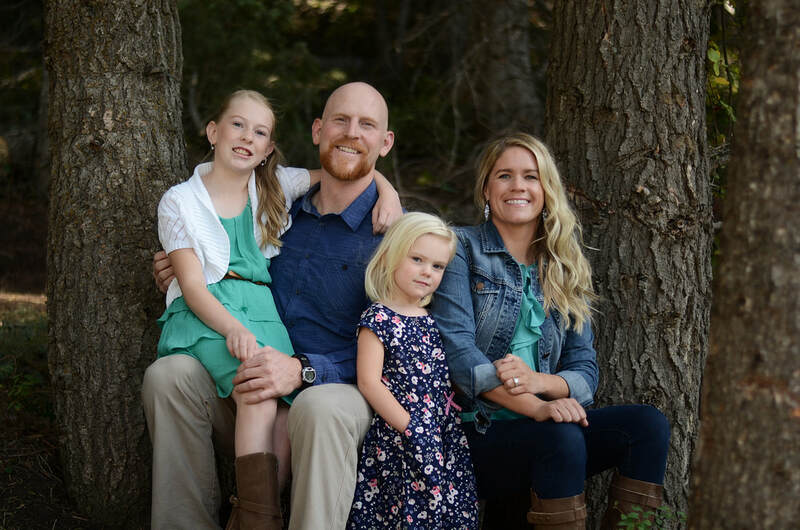 Out of respect and admiration for the Buckner family's journey with their daughter, Kate, both teams and all members chose the Glut1 Deficiency Foundation as their charity. We were honored to be included in this special event, and it gave a great opportunity for more awareness to be raised and education to be spread. 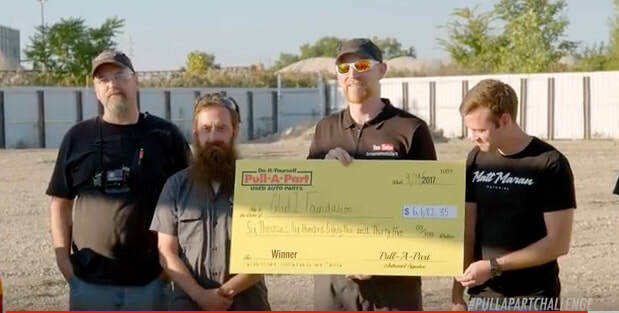 We received a check from Pull-A-Part for $10,682.35. We'd like to thank everyone involved, and we'd like to encourage you to watch the challenge and see the special words shared by Brian and others. 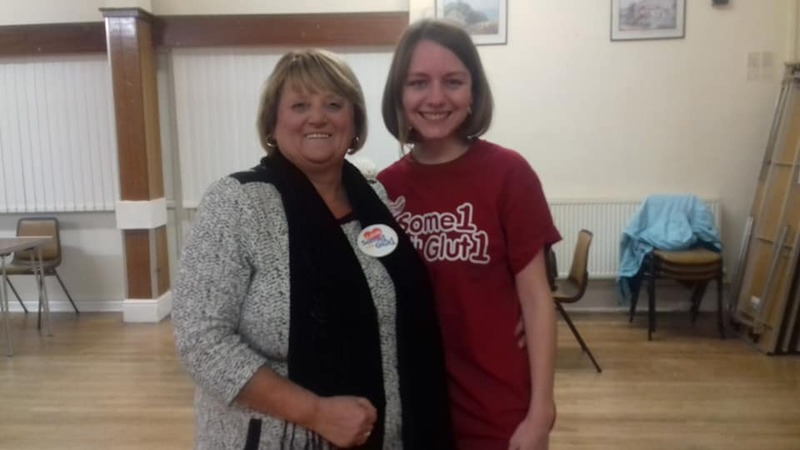 Cleo Lapping has been the inspiration for recent awareness and fundraising events in the United Kingdom and we are grateful for her desire to help the work of the G1DF. 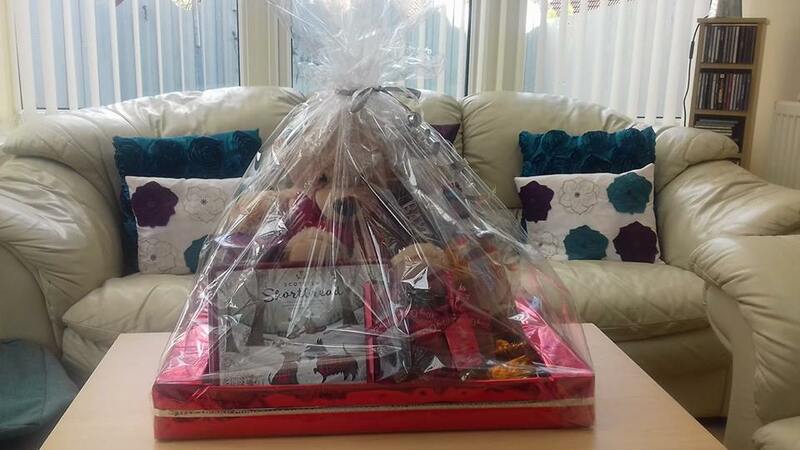 Cleo's family created a gift basket to raffle in the weeks leading up to the Christmas holiday. This has become an annual event for them, and their friends and family look forward to helping out each year. This year, they raised $664 for the G1DFoundation. 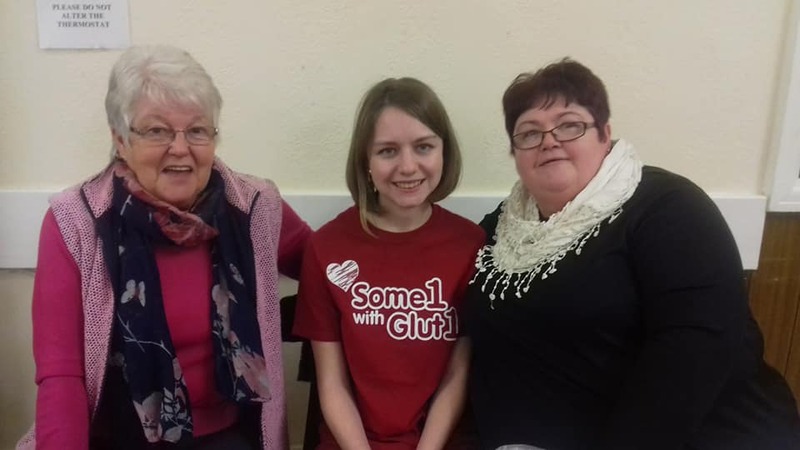 In January, the members of the West Pontnewydd Community Association donated $287 to the G1DF in Cleo's honor. These ladies work hard to serve their community, and they've gotten to know Cleo through weekly bingo games. These bingo games are an opportunity for them to raise money for their programs and keep their community center open, and they also donate part of the proceeds to different charities. They've become a great source of support and friendship for Cleo and her family. We'd like to thank everyone for the extra giving you did on #GivingTuesday and during the end of the year period. All donations are greatly appreciated no matter when they are given and go directly to support our mission programs. We also would like to thank those who have done special fundraisers on Facebook, either in honor of birthday celebrations, anniversaries, #GivingTuesday, or any other reason - we appreciate it! These fundraisers are important because they provide great opportunities to raise awareness to new audiences, too. We don't receive notifications when fundraisers are created or donations are made through Facebook, and we don't receive any contact information, so if we have failed to properly thank you we are sorry! Your help is greatly appreciated. 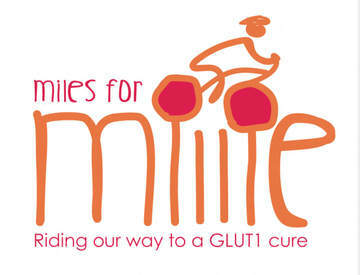 The Meisner family participated with their team Miles for Millie in the Million Dollar Bike Ride again this past year, and through the support of their friends and family were able to raise funds and be eligible for a matching grant from Penn Medicine's Orphan Disease Center. Thanks to their participation in this program, a grant for Glut1 Deficiency research in the amount of $48,918 was awarded in January to Dr. Umrao Monani at Columbia University Medical Center for his project titled, “Exploring a novel means of regulating Glut1 expression, and its therapeutic implications.” We are grateful to the Meisners for this research that will benefit everyone in the G1D community. 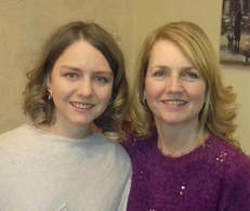 ​The Foy family is gearing up for their annual Irish for a Cure celebration in honor of their daughter, Colleen. This very successful and fun event raises awareness and funds for causes near and dear to the Foy family, including the Glut1 Deficiency Foundation. We are so grateful for their ongoing support. This year's event will be held on March 16th from 7-11 pm at Clayton Elks in Clayton, New Jersey. We want to remind you about another free and easy way to help the G1DF when you shop online. 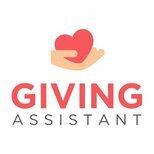 We are a participating charity for AmazonSmile, Giving Assistant, and GoodShop. Please visit our website to find out more about using these great programs, which have generated $5,500 for the G1DF thanks to our supporters who have signed up to use them.